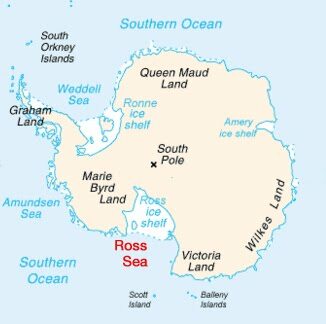 The Antarctic's Ross Sea is considered by many to be one of the most pristine marine environments to be found down under. Facing New Zealand to the north, it has had proposals for basic protection sponsored by the United States and New Zealand, but now a more coordinated and international plan is being initiated, one that will possibly lead to the world's largest fully protected marine reserve. The recently launched Antarctic Ocean Alliance (AOA) represents the coming together of several leading international conservation organizations, along with renown ocean conservation experts and even celebrities - all bound by one common purpose: to protect the Antarctic's marine resources. As a first step, they hope to establish a protected marine reserve in the Ross Sea, one that will ultimately expand to reach over 2.2 million square miles. The AOA includes, as its supporters, Greenpeace, WWF, Humane Society International, the Antarctic and Southern Ocean Coalition (ASOC), the Blue Marine Foundation (UK), Mission Blue (US), Oceans 5 (US), Deep Wave (Germany), The Last Ocean, Forest & Bird (NZ), the Environment and Conservation Organizations of New Zealand, and many others, along with individuals like oceanographer Dr. Sylvia Earle, entrepreneur Sir Richard Branson, and actor/conservation activist Edward Norton. 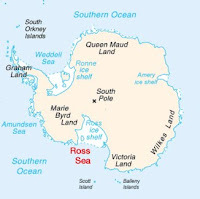 While the Commission for the Conservation of Antarctic Marine Living Resources (CAMLR) is the regulatory body that has agreed to work with AOA to establish a network of marine protected areas in and around the Ross Sea, they tend to work more behind the signs. The AOA will take a more proactive position when it comes to public exposure and media attention. This is meant to help ensure that all nations involved in implementing plans for marine protection will be better held accountable for the policies and plans they put in place. Antarctic waters, which include the Southern Ocean, the Ross Sea, the Weddell Sea, and the Amundsen Sea, represents some of the richest marine ecosystems on earth with as many as 10,000 species calling it home. This environmental bounty has, over the years, been seen as a commercial bounty, too, with industrial fishing taking a heavy toll on many species. The Antarctic Ocean Alliance seeks to curb commercial overfishing in the Antarctic and, with the Ross Sea protections as a start, the Alliance will be identifying 16 other critical habitats within the Southern Ocean that need protection. To learn more about the Antarctic Ocean Alliance, including videos and AOA's initial report, visit its website at www.antarcticocean.org.